You don’t have to travel to England to have a genuine Afternoon Tea. You can find one right here in the Baltimore suburbs—at St Stephen’s annual Garden Party and Fête, Saturday, 4 May 2019, from 11:00 AM to the last seating at 2:00 PM. (Note that the last seating is an hour before the end of the Garden Party itself, to give you a chance to enjoy a leisurely tea.) 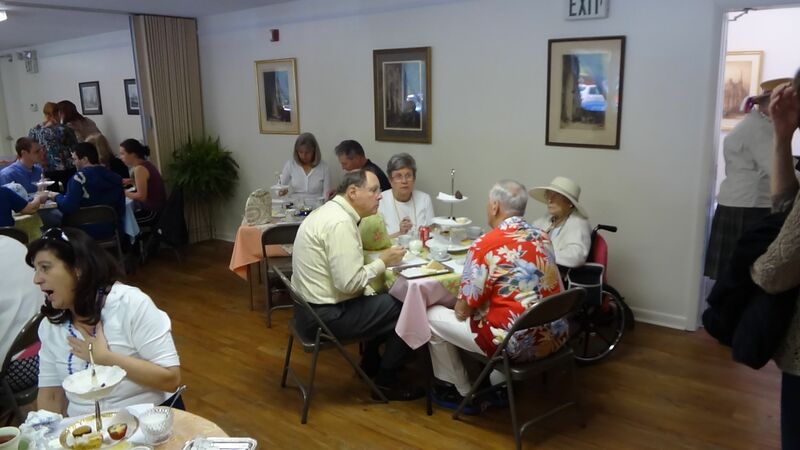 Tea is served in Quimby Hall (the Parish Hall), with continuous service for the duration of the party. For $15 per person, you get an assortment of tea sandwiches; scones with butter, jam, and clotted cream; dessert bites; and, of course, a bottomless pot of tea. Before or after your tea, be sure to check out the other booths and activities at the Garden Party: the Portobello Road White Elephant Booth, with some first-class jumble; the wheels of chance (if your number comes up, you’ll win a bottle of booze! ); an authentic Punch & Judy show; and a May Pole, complete with dance. 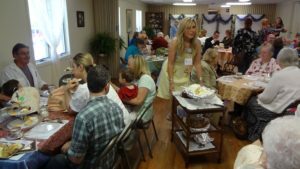 Saint Stephen’s is located at 11856 Mays Chapel Rd, Timonium, MD, and you can find more information on the Garden Party at gardenparty.ststeve.com.